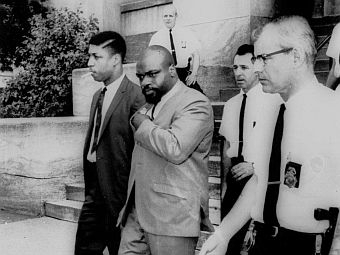 Rubin "Hurricane" Carter was a successful prize fighter who was falsely accused of murder. After nearly two decades in prison, Carter was exonerated. His true story became an Academy Award nominated film and was immortalized in Bob Dylan’s song "Hurricane." Now in his 70s, he’s an advocate for others wrongly convicted. In this documentary, Carter talks about how he emerged from the state prison and his emotional prison of hatred and bitterness. He has recently published the memoir The Sixteenth Round: From Number 1 Contender To #45472 . Celebrate Bob Dylan’s birthday with us during this week’s VPR’s Saturday Special . This program is brimming with rare-recordings and first hand accounts of Bob Dylan. Tune in at 4 on Saturday.